The WARN 9.5ti Thermometric winch packs 9500 lbs. of pulling capacity into a massive 12.5 lb aluminum die-cast body. 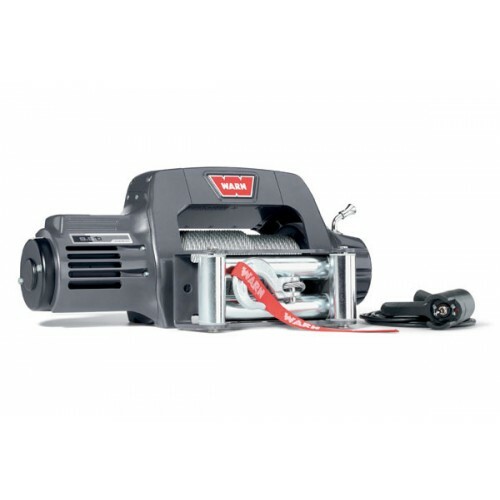 This winch not only looks great, but sheds the elements like no other winch on the market: seals at the key points give extreme-duty water resistance. A Gen ll Series Wound motor delivers just the right balance between torque and speed. - the thermometric indicator gives the operator information about motor temperature during the winching operation.